The Yum List only includes spots that are worth a visit. If it’s not good, it doesn’t get posted. It’s a quick resource where you can find the best places to stay, eat and spa around Malaysia and the world. The Yum List saves you time and money as all of the groundwork has already been done for you. Research is taken seriously. Only things that our writers have tried personally are documented. No payment is taken for any write up on The Yum List and we don’t allow advertisements. We try to be specific with our recommendations narrowing them down to particular aspects of a location. For example, sometimes a restaurant might be recommended for one dish only, a bar for one cocktail, spa for their signature treatment or a hotel for their Executive Club. We believe in propagating the good, by promoting the good. We like places that engage in socially responsible practices such as recycling, sourcing local organic produce and who actively participate in programs to help the community. These places will always have a place on The Yum List. We avoid places that sell shark’s fin or any other endangered species. We prefer grass-fed meat over grain fed and preferably free-range and organic too. We like places that celebrate plants and make healthy food deliciously. We also like a good drop of wine and strongly support biodynamic and sustainable farming practices. Twenty years as an expat and 25 years of global travel have given her taste buds a worldly cultivation. 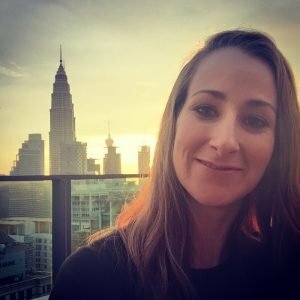 She loves the freshness of Thai and Vietnamese food, the rustic preparation and use of local seasonal ingredients in Italian, the care and technique that goes into French cuisine, the inventiveness of modern Australian menus and the connection of foods to geography in Latin America. While personally choosing to eat foods that are healthy for herself and for the environment she will try anything within reason (no endangered animals). She has a weakness for hearty bread and fine wine and has been known to enjoy a good Champagne brunch or three. No longer in her backpacker years, her taste for luxury accommodation and spa treatments continues to grow. While she enjoys the facilities and services of 5-star accommodation, boutique hotels are her preference for stays. She admires hoteliers who honour the local area by maintaining connections to the community in staffing, architecture, services and culture. Socially responsible organisations looking to make minimal, if not beneficial, impact on their surroundings are held in high esteem. Claire Matheson is a lover of family cooked meals, knock-your-socks-off wine and colourful travel. With a long career as a secondary English teacher working in both Australian and International schools, she is a literary nerd who loves spontaneous puns, clever turns of phrase and esoteric vocabulary, and can’t imagine life without a groaning bookcase, an extensive music library and an arsenal of movie quotes to punctuate conversations with. Her love of writing started at a young age and before studying her Bachelor of Education, she first completed a Bachelor of Creative Industries, specialising in creative writing, film and television, and journalism. The travel bug took hold of Claire at the tender age of eight when she embarked on her first overseas journey. The pull to explore and wander hasn’t waned and the more she travels the more her sense of adventure grows. Keen and willing to try her hand at anything new, her enthusiasm for learning and new experiences helped her amass a decade of hospitality, retail and fashion work during her uni student years, encompassing waitressing in cafes and fine dining restaurants, training baristas to make the perfect coffee, pulling beers and making cocktails in dive bars and pubs, as well as selling records, movies, glasses and fabulous shoes. She even worked as a jillaroo on a cattle property where she learnt how to ride a horse, brand and butcher cows, and cook the ultimate steak (grass-fed tenderloin or Porterhouse if you please, no more than medium rare). She lives by the mantra ‘you learn something new every day’! Currently living and working in Malaysia, she and her devilishly handsome, science-geek husband Simon raise their two young daughters while balancing work and as much travel as possible. Claire feels equally at home kicking back in a budget hostel swapping stories with fellow backpackers as she does quaffing fine wines in five-star luxury establishment. Generally her food tastes extend more towards healthy and sustainable cuisine, however, she also believes in the need to spoil the taste buds on occasion. While she loves the amalgamation of European and Asian migrant food culture that her Australian upbringing has taught her, she cannot go past a refined French menu. Her favourite wine regions are the Barossa, Eden Valley and Coonawarra regions of South Australia and the Yarra Valley in Victoria, although she is always open to being converted to other regions. Outside of spending her honeymoon in Epernay, Champagne, she feels she has not toured ‘enough’ international wine regions to have established favourites, however, is open and willing to accept offers of plane tickets, accommodation and vineyard tours from wine-makers to sway her opinion! 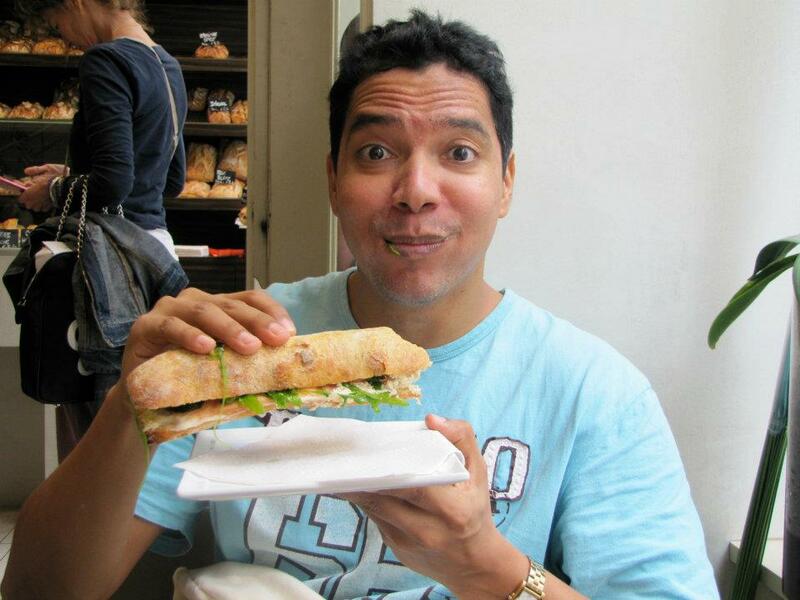 Caning Jaramillo (alias hubby) is the support and carnivorous taste buds of The Yum List. His chief role is charming and entertaining fellow dinner guests and hosts with occasional chauffeuring, bag handling and “staying out of the shot” duties thrown in. Caning’s family used to own a supermarket in Caracas, Venezuela so he spent much of his childhood surrounded by products and tasting food and beverages for possible supply to the community. His passion for food and travel encouraged him to study Tourism alongside Business Administration as a young adult. He has travelled around the world for more than 20 years looking for new flavours and experiences. Being a man of all trades he has had careers in Education, Oil and Gas and Banking. Sailing, flying and sports are his extracurricular passions. He is a sensational salsa dancer – music runs through his Latino blood – and his comfort foods are those with a South American and Spanish influence. Recent cuisines tickling his taste buds are those from Japan and France and innovative foods using science to bring the dining experience to an unexpected level. While eating out excites him, he is just as happy staying in savouring a home cooked meal with friends and sipping on a well-aged whisky or rum. Heather has spent the last 36 years of her life taste-testing the world’s culinary offerings, while she has spent the last 20 trying to imitate some of the wonderful dishes she has tried in her own kitchen. From an early age, her parents introduced her to steak tarter and soft stinky cheeses. Later on in life when she began independently travelling, she was exposed to the delights of Russian blini, the freshness of southern Mexican food, the earthy elements of South African Braiis and the well-balanced vegetable and meat cuisine of Korea. All of these experiences peaked her interest and she contemplated a career in culinary arts for awhile, working at a Michelin star restaurant in St. Andrews, Scotland. Not prepared to leave the passionate world of teaching, she continued pursuing her understanding of food through her travels and cooking experiments. In Barcelona, she worked with an organisation called Eatwith.com, cooking Thai food, to bring different types of cuisine to both local and foreign diners in the comfort of stylish Barcelona apartments. In Malaysia, she embraces the wonderful Asiatic produce she is able to access and regularly experiments with the variety of fresh herbs, leaves, spices, roots that are indigenous only to this part of the world in her own cooking. Heather believes that food is one of the few things on the planet that truly nurtures us all and aspires to nurture others with words as well. She has been writing for The Yum List for nearly two years. 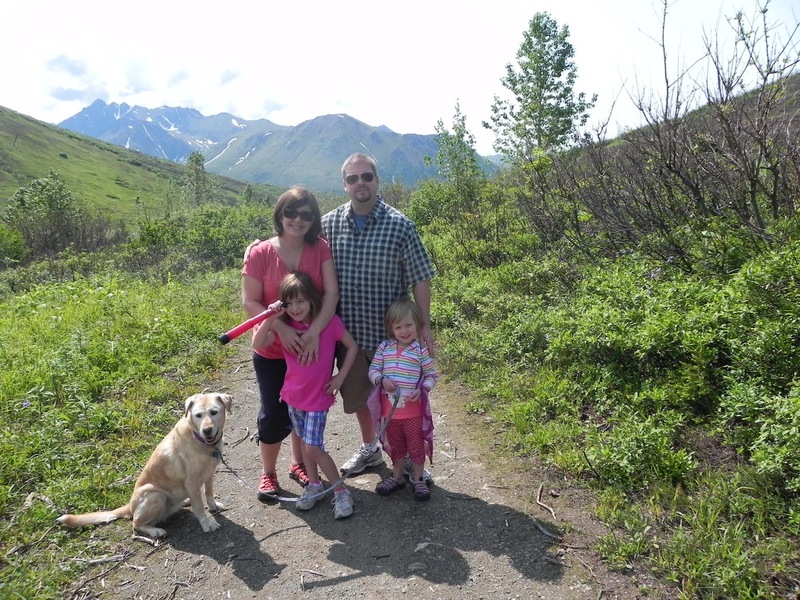 Originally from the largest and most majestic state in the USA – Alaska – Kristin has a love of the outdoors and a great respect for the environment, which was instilled in her from a young age. Childhood summers were spent on the Kenai Peninsula, where she played on the rocky shores of Cook Inlet, fished and dug for clams. Having lived a three-hour flight to anywhere for most of her life, she is thrilled to now live in a place where international travel is so accessible. She and her family travel throughout South East Asia as much as time and finances allow. Kristin fancies herself the family’s travel agent as she constantly forages the web for the perfect family accommodation, choosing eco-friendly places whenever possible. Kristin is a hopeless lover of all baked goods and though she once went vegan for a year, her love of cheese and crispy bacon is undeniable. Her western palette is expanding as her travels widen her exposure to new foods (she wishes the same were true for her kids) and she loves both South East Asia’s stall food culture as well as fine dining. Her professional background lies in arts marketing and writing; before moving to Malaysia she worked as the Marketing Director for the Anchorage Symphony Orchestra. 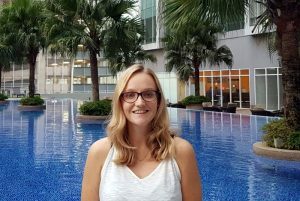 Kirsten is delighted to be invited into The Yum List family of writers and is excited to discover all that Malaysia has to offer. She feels the time is ripe for exploration of the culinary world in KL with a smorgasboard of delightful new restaurants popping up everywhere. Kirsten’s love of food was stimulated early; making cakes with granny, cooking fresh fish over campfires with granddad, and being taught to cook by a mother who couldn’t wait to hand over the kitchen. Cooking for her is a way of showing creativity and sharing affection. At 17 she was privileged to experience life in the kitchen at the Althaharrie Inn, a two Michelin star restaurant, which sparked a life long romance with high-quality food and wine. Rowing out in the early morning for fresh mussels was surely worth it. The romance became a ménage-a-trois when she discovered theatre at Edinburgh University, participating in three Edinburgh Festival Fringes, successfully running a venue as well as performing. Theatre has been another consistent theme in her life, culminating in directing, producing and performing at the National Theatre in Uganda. Kirsten’s lucky life of adventure and travel was initiated when her parents left their native Scotland for the wilds of East Africa when she was barely two. Having lived in 16 countries since, and travelled through 60+ she considers herself a true global nomad who makes home wherever she lands. Her international career has allowed her success as a teacher, educational trainer and curriculum developer while including amazing personal experiences. Trekking mountains and volcanoes, canoeing rivers wild and calm, driving across Africa, sailing the world’s oceans and rivers, experiencing Ashram life in India, to name but a few. Throughout her adventure travel, Kirsten has enjoyed ‘giving back’ with several voluntary stints training local teachers in African countries and has been instrumental in the development of four grass roots education projects in Uganda, a country that stole her heart and continues to tug at it. Kirsten has delighted in the culinary and cultural trail through Europe, the Middle East, Latin America, Africa, India, Vietnam and Thailand. Memorable moments include plantain and red red in Ghana, ajiaco in Colombia, learning Thai cookery at Miss Kwan’s kitchen, and freshly caught lobster on an isolated Zanzibar beach. Favourite restaurants include Mamba Point in Uganda, Seasons Restaurant in Istanbul, La Poitinierre in Gullane; although she knows it was the company that truly made those experiences great. Kirsten loves many dishes but her favourites remain Dad’s Saltimbocca a la Romana and Granddad’s Fish and Chips. To her, food is an emotional experience, best embodied in the remarkable book ‘Like Water for Chocolate’. Kirsten chooses to live her life in excited anticipation of new experiences and with hope of one day finding the perfect daiquiri. 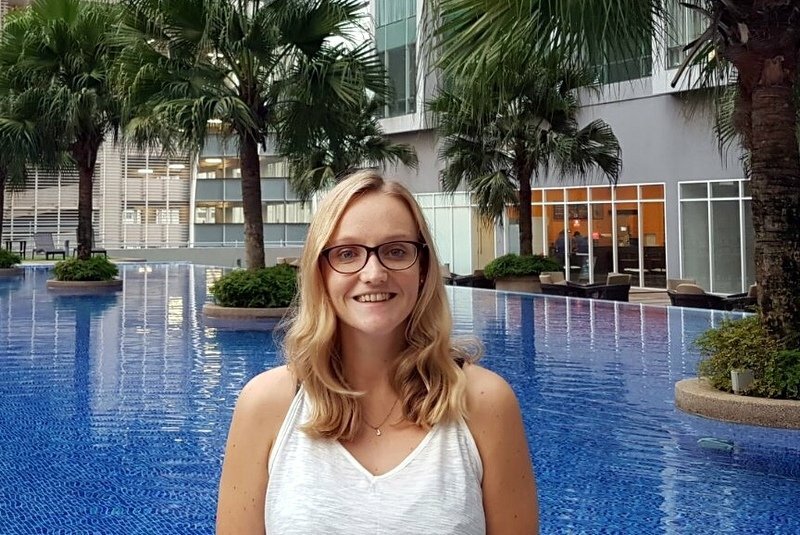 Louise, long term world traveller, an expert in languages and quite a capable home chef, began her obsession with The Yum List after having accepted a teaching post in Kuala Lumpur. She started to research all the things that would have a significant impact on her quality of life out here. Needless to say that amongst those top of the list were whether or not she was going to be able to indulge in fabulous eggs benedict at the weekend and where to experience the best street food, tapas and cocktails. The Yum List quickly became her ‘go to’ source of information and then, thanks to a fortuitous encounter with Kirsten Durward and an introduction to Monica, she was welcomed to the team and now has the best hobby that any ardent foodie could dream of. Serial ex-pat and long-time foodie, Craig is a huge fan of local and regional cuisines. A Kiwi by origin, he has spent much of his adult life in Asia – Singapore, China, and Malaysia. Fundamentally a University Academic, he gave up the ivory tower in search of a profession that would make him some real money. Craig co-founded and co-owns an award-winning Public Relations Agency, in addition to a Consultancy company focusing on organisational change. It was through his PR Agency that he first met Monica – both having lunch at an Italian restaurant his company represented. The rest, as they say, is both “history” and “a beautiful friendship”. 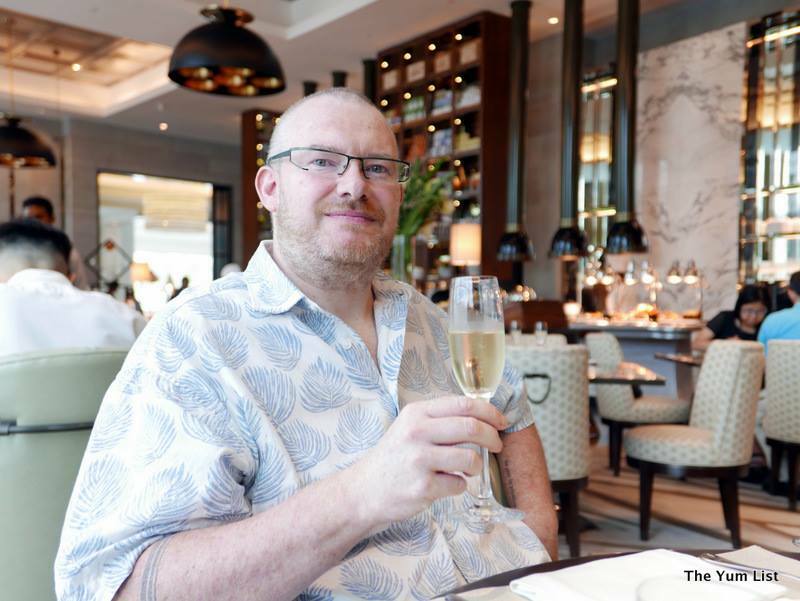 Craig’s particular focus is on local flavours – alluring aromas, intense spices, and stunning presentations – reminding us all that Malaysia is truly home to some spectacular cuisine (and beverages). “In a city this size, you don’t have to go far for some ‘good grub’” (CJS). Sarah Rees is a professional writer and editor, hailing from the UK but successfully exploiting her skills to spend the majority of her career trotting around the world. She has worked in Greece, Spain and Malaysia, the last of which incited an enthusiasm for food that led to work as a food reviewer and many experiences of local and international cuisine. The next stop was Sydney, where Sarah worked as the editor of a food magazine. She mingled with some of the stars of the Australian and international food and wine scene and expanded her knowledge and enthusiasm for her topic. A highlight was lunch at Noma when Rene Redzepi brought his award-winning restaurant to the city for six months. As a confident eater, cook and writer, Sarah enjoys engaging with all facets of food, from history and culture to preparation and creativity, finding chefs and sommeliers (almost) as interesting as tasting their produce. She has visited pig farms, learnt how to make schnapps, tested and reviewed spice blends and enjoyed many of the world’s best wines. 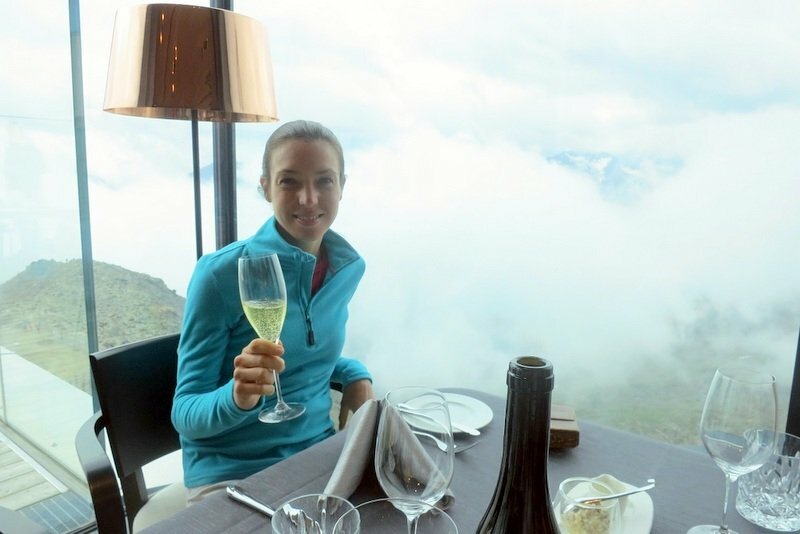 She has written for The Yum List for four years, covering travel and hotel reviews as well as fine dining restaurants. She continues to work as a journalist in the UK and abroad. Joanna is originally from the UK but has travelled extensively over the years throughout Australia, New Zealand, Southeast Asia, America and Europe. She is just as at home eating pie and mash in an old English pub as she is with a bowl of Vietnamese Pho in Hanoi. Sushi and Thai curries were favourite meals when living back in the UK and so she is delighted to be based in this part of the world and expand her knowledge of Asian cuisine. You will often catch her eating Japanese Ramen and Chinese dumplings or in one of the many brunch spots in KL with her favourite avocado on toast. She is happy to put her journalism qualifications to good use at The Yum List. Monica Clear is a community health nurse by profession who has travelled and lived in a variety of continents and can describe with detail her favorite meal in each place. Monica grew up in a home where the yogurt and granola were made from scratch, and she and her brother took turns punching the bread dough back down as it rose, every Sunday, on the kitchen counter. Birthday dinners were Peking Duck ordered one day in advance from Chan’s Kitchen in Plainfield, New Jersey, and Fodor’s Guide to New York City restaurants sat on the coffee table, thick with dog-eared pages of bucket list eateries to try. To this day, Monica would rather spend an hour shopping in a grocery store than a department store, and can’t quite remember life before the coffee culture. The art of food appreciation is one thing, however, and the skill of cooking another. It wasn’t until recently that Monica began dabbling with more complicated creations of her own in the kitchen, inspired by a husband with true culinary talent and two children sure to offer their honest opinions. When she can successfully make Thai food taste like the street stall around the corner, she will consider herself a cook. Still a novice on the Kuala Lumpur restaurant scene, Monica is continuously amazed by the variety of cuisines available locally, and the plethora of little restaurant gems tucked away in the farthest and highest corners of this city. A follower of The Yum List since she arrived in Malaysia, Monica is excited to now be a contributing eater and writer; two activities that, as far as she’s concerned, make life worth living. It is a known fact amongst Han Sen’s friends that he has a slight frame… a constant source of worry for his mother as she frets over what the neighbours might think (Has she been feeding him?) and a perpetual amusement for airport security guards as they double, triple check his passport (So you’re not eighteen…). But put him at a buffet table for two hours and he could easily land a spot with P. T. Barnum’s travelling museum of freaks for a black hole of a stomach. Needless to say, he loves to eat. Born into a jet-setting family and having travelled all his life, the grass is definitely greener on the other side for Han Sen, who has trouble ‘settling down’. Over the years, through his many adventures, he has developed a love for different cultures along with the civilisations that define them, the architecture that reifies them, the literature that evokes them, and the cuisine that nourishes them. A self-proclaimed foodie though not quite the aspiring gastronome, he wouldn’t give up on the opportunity to improve his palate and discover exciting new flavours. As of such, he’s grateful for the opportunity to contribute to The Yum List. A hopeless romantic who enjoys weaving the occasional sap while listening to repeats of The Golden Girls, Han Sen faces the future with a cloying sense of optimism. With plans to return to academia and the UK, developing an appreciation and understanding for great food in the meantime doesn’t sound too bad at all. An insatiable vagabond, Patricia loves the lure of the next bend in every road. She has lived on four continents and can be known to spend long hours looking at maps, plotting her next vacation. Her culinary adventures began as a child when she would sneak chocolate chips out of the refrigerator when her mother wasn’t looking. This passion for food and a willingness to break rules applies to her own kitchen, where she almost never follows a recipe. Although she is currently a middle school teacher at ISKL, she has also held jobs as a waitress, a bartender, a lifeguard, a printer’s assistant, and even worked once in a butcher shop! She is delighted to be writing for the Yum List. While he started off eating roast beef, potatoes and perogies (Google them, they’re awesome! ), his tastes got much spicier after he and his wife Trina moved to Sri Lanka in 2011. The delicious, island curries expanded his food horizons and he still looks for the mind-numbing kottu roti wherever he travels and eats. Now living in KL, Shaun is mesmerized (if not somewhat paralyzed) by the abundance of food choices in Malaysia. In fact, he’s been known to wander the streets for hours looking at all the amazing grub, but unable to make a decision about what to eat. It’s a good problem to have. Besides eating and wandering, and when not consumed by his profession as a journalist, Shaun enjoys writing on his blog and cheering for his beloved Canadian Football League team, the Saskatchewan Roughriders. Born in Bolivia and raised in the Washington DC area, Monica is still rather new to Kuala Lumpur, having only arrived in September 2015. Having grown-up in the culturally-diverse US capital and its surrounding areas, she grew up exposed to not only Latin cuisine, but also that of the numerous ethnicities represented in the area. By the time she reached 12 years of age, she learned to try new things and use an ethnographic approach to food and eating “different” foods early on, including Korean, Pakistani, Indian, Japanese, Ethiopian, Persian, Afghani, Thai, Vietnamese, Caribbean, various European, and Middle-Eastern cuisines. Fortunately, her career and that of her husband have required that they consistently travel, as well as live, in various parts of the world. 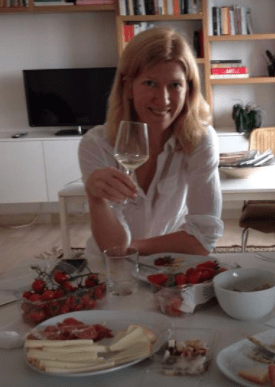 Cumulatively, Monica has travelled to over 80 countries, living in nine on five different continents – trying the cuisine and partaking in practices in as many places as possible. This was not only confined to trying food in posh restaurants in cosmopolitan cities, but also in rural communities of developing countries, truly taking her on culinary adventures. Examples of this include: living off simple millet made with contaminated water when food was scarce, or foufou and agouti arachide (a type of rodent with peanut sauce) on better days in Niger; fishing for and eating piranha in the Amazon; eating piglet baked in an underground pit oven, with hairs still on it and accompanied by black, desiccated then rehydrated potato (chuño) in the Bolivian altiplano. She always believed that a country’s cuisine is a reflection of its people’s soul, and has happily flitted about the world in search of this perspective. 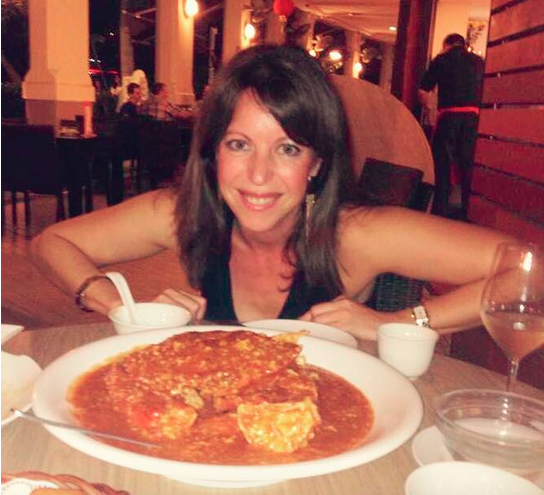 Living in Asia was a lifelong dream and she is now thrilled to live in Kuala Lumpur, savor the country’s incredibly diverse tastes, as well as those of the region, and now have a chance to write about it for The Yum List. When she is not eating, Monica is an independent consultant working with international organizations on monitoring and evaluation, or as her kids aptly put it, “writing a lot of emails.” A public health specialist by profession, she has become very adaptable and flexible, and has made her career relatively portable to be able to follow her husband all over the world. She and her husband have two small children who, so far, seem to have inherited her curiosity and interest in different foods and tastes (thank goodness!). Originating from the North West of England, Manchester to be precise, Hannah is a keen ‘foodie’. She might have grown up on a diet of meat and two veg, a Friday ‘chippy tea’ and treats of ‘Mr Kipling Country slices’ but frequent travel has broadened her food senses and enabled her ‘foodie’ characteristics to continue to reach new horizons. She has lived in Spain, London, New York and now Kuala Lumpur. Each journey has provided a new appreciation for local cultures and customs and whilst she is enjoying the freshness and spice of KL she thinks a slice of ‘Ben’s Pizza, New York’ should be on everybody’s bucket list and her death row meal is still a traditional Sunday Roast with all the trimmings. As a hobby Hannah has delved into the world of professional cake decorating even making her own wedding cake. Although in hindsight she wouldn’t recommend it to future brides she still has a passion for stunning cake designs and thinks the people in the industry are super talented. Hannah is definitely a person who lives to eat rather than vice versa and hopes her passion for food and a fabulous dining experience is reflected in all her Yum List reviews. Manveen goes by the tag ‘Asian-inspired foodie/Western-inspired drinkie’. Growing up in multicultural KL, she spent most of her school days eating everything under the sun (and miraculously not gaining any excess weight) in her native Malaysia. Upon embarking to the Southern Hemisphere for higher education, her culinary world was opened up to a kaleidoscope of flavours as a result of making friends, and having meals, with kids from every corner of the world. Having spent her formative years in the gastronomic city of Sydney, Australia her daily dinners would consist of tastes from every spectrum of the universe. Coupled with a Mexican roommate and some libation-prone workmates, her knowledge and skills in the kitchen (and behind the bar) soared as a result. Counting Spanish, Japanese, South American, Korean, Thai, Italian and Middle Eastern food as perennial favourites, her American buddies also introduced her to the hedonistic world of greasy diner fare –a calorific combination she guiltily enjoys at any time of the day. When it comes to her tipple of choice, vino is always a winner, but she’s got a soft spot for cocktails – be it a Pisco sour, a fruity glass of sangria or a good ol’ fashioned Margarita. Despite her love for food from all over the world, she still counts herself as a Malaysian at heart (or is it tastebud? ), most pertinently displayed when smashing a plate of chicken rice, inhaling a serving of banana leaf rice or obliterating a Ramli burger at 3am. While she loves the taste of high-end gastronomic delights, she’s always on the prowl for “the best” of the culinary world – often taking her to alleyways off the beaten track and hole-in-the-corner shops, all in search of the perfect meal. Variety is the spice of life – and Manveen definitely revels in the best of both those worlds. Although only 16 years old, Naomi Martin has seen more of the world than many others twice her age. Born in Singapore, Naomi had a liking of the Southeast Asian cultures and lifestyles from the start. Bustling hawker stalls and the smell of durian wafting through the markets are embedded in her early memories. When her younger sister came along, it was time to move into a completely different lifestyle. For five years she grew up in the simple island life that the American state of Hawai’i had to offer, and developed an attraction to the various island meals and treats. Naomi was then off to China at the age of 8, where spicy Sichuan cuisine, the history of the Great Wall, and the Beijing Summer Olympics became part of her formative experiences. Now, Naomi is back in her birthplace, Southeast Asia. Much of the culture is already familiar to her, and she is delighted to once again experience the carefree lives of the South. Currently attending the International School of Kuala Lumpur, Naomi landed her first writing job for The Yum List, after interviewing its Editor, Monica Tindall, for the school magazine. Even though she has grown up in a food-loving family, Naomi feels she only recently started developing a real appreciation for the culinary arts after her trip to Italy in the summer of 2013. She and her family had a blast touring several ancient Italian cities, but most of all, enjoying the unique taste experiences each region had to offer. It seems almost fitting that Naomi wrote her first food review for The Yum List on the Italian restaurant Spasso Milano, after her adventures in Italy. Naomi plans to continue to assist Monica in writing for her blog whenever needed and hopes to travel and experience more of the world’s cultures and flavors. Guest writers for the Yum List, Ross and Sarah Jones have been living in Malaysia and exploring the growing number of food choices in the city. Dabbling in different cuisines within their own kitchen, motivates them to get out and try new food at unique and new restaurants. They enjoy local venues run by small business owners who appreciate quality ingredients and simple, quality food. They are constantly impressed by the new dining concepts coming to Malaysia and look forward the new blending with the old in this cosmopolitan city.